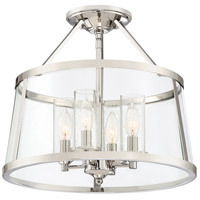 The Barlow's transitional design adds simple sophistication to any space. 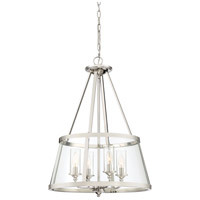 The gleaming polished nickel frame highlights the beautiful drum silhouette of the outer shade, which features clear bent glass panels. Within the drum, seedy glass surrounds each individual candle, creating a layered look that's sure to please.